If you’re nearing your separation date from the military, you probably have a lot of questions. How am I going to find a new job? How will my finances change as a civilian? What should I do about health insurance? To help you out, here are 10 steps to ease your transition from military to civilian life. Make sure to save up an emergency fund of three months to one year of living expenses. Military jobs are relatively stable, so you probably weren’t concerned about a lack of cash flow while you were in the service. However, job security is very much a thing of the past and having money put away to tide you over in case you lose your job might come in handy. This fund can also pay for other unexpected emergencies, like a major medical issue when you have a high-deductible insurance plan. The amount you should save in the account will vary depending on your life circumstances. If you live in a dual-income household without children, three months of expenses should be adequate. If there’s only one income and three kids in the house, one year of expenses is probably a better idea. As a civilian, your budget will be different from what it was while you were in the military. For one thing, you need to budget taxes, insurance and savings — things you may not have had to budget for while in the military. And things like tax-free housing allowances? You may have to say goodbye to those as well (provided you aren’t eligible for or taking advantage of the Post-9/11 GI Bill — more on that later). Assume you’ll pay for housing, utilities, health and life insurance, transportation and its related expenditures, food, entertainment, gifts and a slew of miscellaneous expenses that are bound to crop up. Depending on your situation, you may also have to pay for child and pet costs, including food, supplies, care and medical fees. In addition, you’ll have to pay taxes, save up for emergencies, retirement and other goals, and pay off existing debt. This should all be taken into account in your budget. The other big part of the equation is income. Your take-home pay should cover all of your expenses. If your expenses exceed your income, you’ll need to cut your expenses or increase your income. Your savings and debt payments should be at least 20% of your budget, limiting your life expenses to 80% or less of your income. If you’re eligible, the Post-9/11 GI Bill covers your education expenses for up to 36 months. In addition, you may be able to receive a monthly housing allowance, a stipend for books and supplies, and a one-time rural benefit payment. If your school participates in the Yellow Ribbon Program, you may be eligible for more funds for your education. Some military members will even be able to transfer unused benefits to their dependents. If you don’t yet have a resume, you’ll need to create one. Monster.com has an entire section dedicated to the military, including a resource on how to write a military-to-civilian resume. Better yet, the Transition Assistance Program provides a curriculum on transitioning to civilian life, including information on creating a resume, tips on interviewing and networking, and advice on finding a new job. TAP is required for all separating members of the military as of 2011, when President Barack Obama signed into law the Veterans Opportunity to Work (VOW) to Hire Heroes Act. For veterans seeking government jobs, USAJOBS is a great resource. If you have more of an entrepreneurial spirit, there’s an elective program called Boots to Business that’s offered as part of the TAP. At the end of the program, participants will have the knowledge necessary to identify a business opportunity, create a business plan and start a company. There are a few things to think about when evaluating potential gigs. First, remember that your salary needs to cover your increased taxes. Check your state tax rates so you know what to expect. Your salary also needs to cover your housing, which may have been covered previously by a tax-free housing stipend. Housing is generally the most expensive line item in budgets. As a rule of thumb, you should keep all housing expenses under one-third of your take-home pay. This will be more difficult in high cost-of-living areas, but it will make your financial life much less stressful. You should also examine your benefits package. Health insurance is infinitely cheaper when purchased through an employer, and the same likely goes for basic life insurance coverage. Another nice bonus is an employer-sponsored retirement plan with a match. If your employer offers this benefit, always contribute enough to get the full company match. Otherwise, you’re turning down free money. People who retire from the military after 20 years qualify for insurance in retirement. However, military members who don’t serve for at least 20 years will need to replace their insurance. The likely cheapest solution is getting a job with health insurance benefits or getting on your spouse’s employer health insurance plan. Keep in mind, though, most jobs require that you pay at least part of your premium — generally pre-tax, automatically withdrawn from your paycheck. If you don’t have health insurance through work, you can sign up for the military version of COBRA — which is the Continued Health Care Benefit Program (CHCBP) — within 60 days of leaving the military. This coverage can be costly and is only available to you for 18 months. Other options include signing up for health insurance on your own or getting VA health care coverage, if eligible. You can apply for VA health benefits on the VA website. If you decide to sign up for insurance on your own, you can compare quotes through the eHealthInsurance website. High-deductible plans will be the cheapest option, and many people will be eligible for a Health Savings Account. An HSA can be contributed to pre-tax, up to a certain limit, and used to pay for medical expenses. Unlike a flexible spending account (FSA), this isn’t a “use it or lose it” account. You can use it for medical expenses tax-free whenever you want, and withdraw the balance tax-free after the age of 65, if desired. Your cheap life insurance through the military expires 120 days after you leave the service. From there, you have two major options. You can convert to Veteran’s Group Life Insurance or search for policies on your own. VGLI is typically more expensive than finding your own coverage, but it’s a good option for those with health issues that would drive up the price of regular life insurance. You have one year and 120 days to convert to VGLI, but if you do it in the first 120 days, you won’t have to submit evidence of good health. If you opt to get life insurance other than VGLI, you can compare plans online. Try accuquote.com for term life insurance options. You could also get life (or medical, vision and dental) insurance through USAA — a bank for military members and their families. 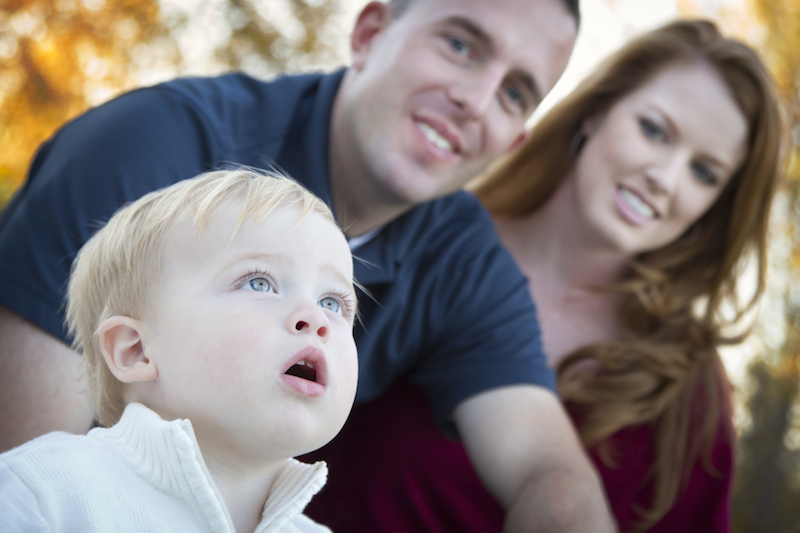 USAA also offers investing, mortgage and banking services to current and past military families. You have a few options with your TSP. You can either leave it alone, or roll it into an individual retirement account or employer-sponsored retirement plan. The best option is likely to leave it alone, as TSPs are invested in index funds with extremely low expense ratios. Whether military or civilian, everyone wants the option to retire at some point. If you’ve served in the military for a certain number of years, you’ll receive retired pay. Upon separating, you can calculate your retired pay and use this calculation to determine how much more you’ll need to save to retire comfortably. With or without retired pay, you’ll likely want to save for retirement during your civilian life in either an employer-sponsored plan, IRA or self-employed retirement plan. Remember, this money isn’t only for long, leisurely days on the golf course. It can also help pay for possible medical bills as you age. To reduce those as much as possible, practice healthy habits and stay in shape. Bottom line: Your financial life will change quite a bit during your transition to civilian life, but following these 10 steps will make the process easier. Good luck on your new endeavors and thank you for your service! This article updated Feb. 26, 2016. It originally published Aug. 18, 2014.